Hey friends...welcome to the longest blog post ever...haha I go months not writing anything to vomiting all over you! haha so apologies in advance..... You guys remember when I was posting my fitness journey? and these incredible pics by Stacie Frazier of Haute Shots?.....where I was determined to use me as my inspiration so I could make sure I was PRESENT through this whole journey? .but I had changed my attitude and I was going to do EVERYTHING that scared me...and this almost made me poop my pants...so I did it..I thought...hey, I will just use my love for thrifting and styling and wear so much jewelry and accessories you won't notice my body! haha Here is one of my favorite shots from the Spokesmodel search shoot.. ENTER INTO A BIKINI COMPETITION.. for BODY BUILDERS . Body Revision By Claudia!!! HER LINK IS HERE! So I did it... I transformed my body...I became a spokesmodel..and somewhere in there I acted in the award winning short film called ACTION ACTION produced by Adam Kilbourn and directed by Adam Zielinski...you can watch that film HERE! I was a KUNG FU MASTER.. and still about 20 lbs heavier than I wanted to be...P.E. is in it toooo!!!! I was nominated for best Breakout Female Action star in the Action on Film Festival in LA! I KNOWWWWWWWW haha the girl who won was on 90210..the original of course....haha I later went on to audition for a Feature Film directed by David Schmoeler called Little Monsters...which is now playing here in a local theater in Green Valley on the 13th of September!!! DREAM. COME. TRUE. I also modeled in a runway show for Louisa Voisine Millinery... and I am the featured model for her Dowton Abbey Hats on the Wardrobe Shops Online Store! WHAT AN HONOR... I mean...is this my life? VISIT the HAUTE SHOTS Blog for even more info! YOU CAN ENTER THE CHALLENGE HERE! 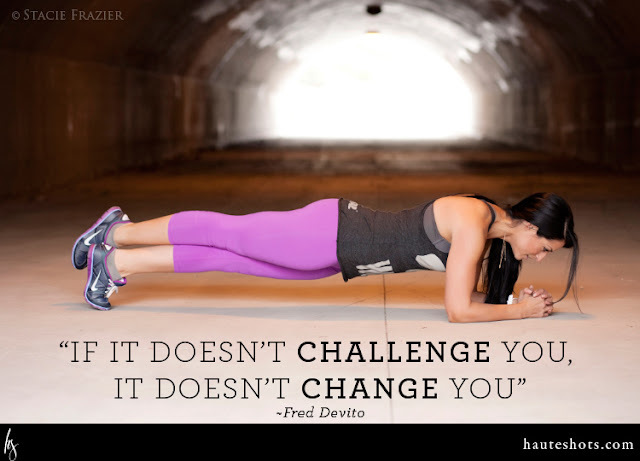 I have been asked to be an ambassador of this challenge...and so HONORED to have met the Haute Shots team...we are like a family...and together we push each other and inspire each other to do better...we are all embarking on our own challenges and are faced with our own fears and goals...and we thought we would bring all of you along!! There are some incredible sponsors and things that we have planned for all of you locals and all of you ALL OVER THE WORLD! You can visit the other ambassadors too and support their journey HERE! I am going to share with you my NEW goals over the next 12 weeks...I will be making NEW recipes...and sharing my new workouts with you! Facebook, Twitter @shanaemily, Instagram @colorblindblog, Youtube: ShanaEmily, and my pinterest page! If you are on there don't forget to tag me at @colorbldindblog so I can follow you along your journey as well as the #theboudoirbodychallenge #BBC and @hauteshots !!! If you are a local, I will be hosting MEAL PREP SUNDAY Retreats as well as Styling Sessions and Thrifters Anonymous Meetings to help us get in our new bodies! I can't wait to start this...and to meet all of you!!! If you have made it to the end of this post...YOU are truly incredible and clearly need to get back to work..haha love you guys!!! And please feel free to leave me any comments or questions or you can email me at colorblindblog@gmail.com I am usually quicker on my instagram @colrobldindblog if you need an immediate answer! LET'S DO THIS!!! Congrats on all of your success!! You are one determined lady!! I would love to see a sample meal plan from the 1st part of your transformation. Oh Shana! You Are Incredible! Inspirational, talented, determined, solid, fun...I need to go back and reread this. Yes, I admit, I skimmed in a few spots. And now I'm crying. I'm pretty sure you are the most inspiring person I've ever met Shana. Who would have thought that my mission to find a spokesmodel would have turned into a life altering event for me personally. Your strength, discipline and drive to live life to the fullest has affected me deeply. Thank you for all you do! You truly are a shining star! Love you girly! BRAVA ` BRAVE ` BRAVA!!!! You look absolutely amazing, you did a great job. 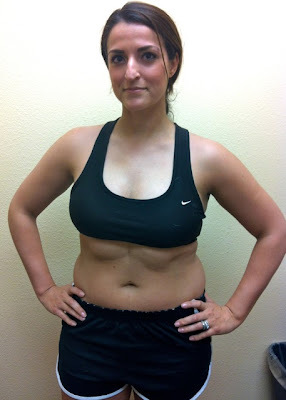 I really need to do this too, I'm having trouble gettng motivated : / But your transformation is very inspiring. You are so inspiring. It's unbelievable!! Amazing! I really admire you. Congratulatuons. Wow, I saw a picture of you on Pinterest and followed it to your blog where i found this amazing story. This is an amazing transformation. I feel like this is something I can do because for years I have been trying to tone up and have not been successful, thank you for sharing.